Superior building design for peace of mind. Building design is holistic, and it is important to have a team of professionals that consider all impacts of each component of the building strategy during the design process. Whether we are working as a single discipline, or as an integrated team, our approach focuses on understanding the ideal future state, and designing a building to suit the existing conditions, user needs, code requirements, schedule, and budget. Our work has included design such as building envelope, foundations, mechanical and electrical services, demolition requirements, and finishes. We understand that the impact we can have on our clients and neighboring communities is long term, and we take that sincerely. 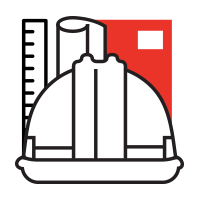 Our Building Engineering group is comprised of a wide-range of professional engineers, technologists, and support staff, providing expertise in buildings from commercial to industrial to institutional. Our services include structural, mechanical, electrical, and industrial engineering, as well as energy management solutions, and asset and facilities management. We have successful completed projects ranging from small-scale renovations to multi-million dollar new construction jobs, building strong working relationships with our clients.